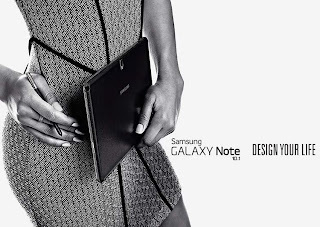 Samsung Electronics Co., Ltd., a global leader in digital media and convergence technologies, unveiled the GALAXY Note 10.1 (2014 Edition), balancing productivity and powerful content creation in one portable tablet device. Equipped with WQXGA Super clear LCD (2560x1600) resolution in a stunning 10-inch display, 1.9GHz Quad + 1.3GHz Quad processor and a 3GB RAM, the GALAXY Note 10.1 (2014 Edition) demonstrates Samsung’s innovation leadership by delivering ultimate productivity capabilities while remaining extremely thin and light. The new GALAXY Note 10.1 expands on the advanced productivity and creativity leadership delivered by the original Samsung GALAXY Note 800. In addition to enabling productivity, the device has been redesigned with a sleek, light, slim frame that is both fashionable and portable. The large, bright and crystal clear screen delivers four times the pixel density of the original GALAXY Note 10.1, providing a premium content viewing experience. The magazine style UX allows users to organize their favorite resources in an easy to use dashboard and then access that content for a stylish reading experience. Whether watching videos or reading magazines and e-books, the new GALAXY Note 10.1 provides an immersive media consumption experience. New design characteristics, like a warm and textured back cover with stitching, inspire a sense of elegance and sophistication. 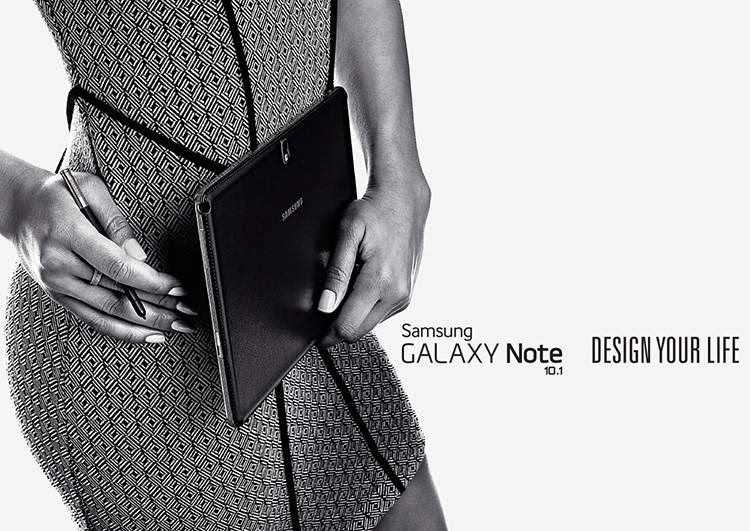 The new GALAXY Note 10.1 comes with enhanced privacy and security protection provided by Samsung KNOX. Users can activate Samsung KNOX with ease which allows them to run and store security-sensitive applications and data inside a protected execution environment called “container.” The security inside the container is strengthened by system-level protection of Samsung KNOX against malware and phishing attacks as well as hacking attempts on physical devices when devices are stolen or lost. For instance, important personal pictures or video can be stored in the container with no worries for data leakage due to hacking. 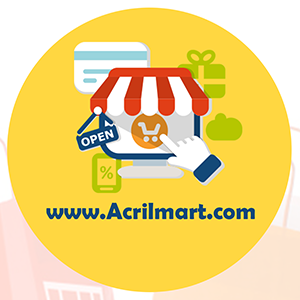 In addition, users may choose to store enterprise applications and data such as corporate email, contacts and calendar and allow the IT department to manage the container through EAS (Exchange ActiveSync Server). These features make the GALAXY Note 10.1 an ideal device for BYOD (Bring-Your-Own-Device to work). Available with a WiFi and 3G connectivity option, the GALAXY Note 10.1 has 16GB internal memory which can be supplemented with a microSD card (Up to 64GB).